This post was born out of a typo. Responding to a friend on Facebook, I tried to type on my tablet the word theological but my fat fingers produced instead theolocal, evidently too anarchic for an autocorrect fix. I did fix it before pressing send but it got me thinking, “Theolocal—what a lovely way to say God came near!” I was set on a path imagining what it means to reveal the theolocal God in my everyday life. John tells us in the introduction to his gospel that the Word, who was with and is God (John 1:1), became flesh and dwelt among us (John 1:14), or as every missional preacher, church planter or Christian community development organization reminds us, ““The Word became flesh and blood, and moved into the neighborhood. (The Message). In Jesus, God was theolocal—he moved into the neighborhood. God was not watching us from a distance, but entered into our humanity, completely and fully. He suffered and was tempted by everything we suffer from and are tempted by (Hebrews 4:15). He was hungry and thirsty and experienced, for the first time in an eternity, what it meant for Him to be weak. The Incarnate One—Our Theolocal God. Jesus’ Incarnation is an important clue as to how we ought to engage in mission. Certainly, we want to be Christ’s hands and feet, and incarnate Christ’s presence wherever we go. But unfortunately this is some people’s entire missional strategy: imitate Christ by trying to incarnate him wherever we are. In a significant way, the Incarnation has already happened and if this is the only we can imagine making the theolocal vivid, then we will be pretty patronizing in our mission. Jesus is theolocal in a way we will never be. If we incarnate his presence it is because our soul has been mystically united to Him through the cross. Incarnation is a once and for all event which we participate in, but it isn’t something we make happen through block parties, neighborhood outreaches, church planting or bringing your neighbor a plate of chocolate chip cookies. When we think about revealing the theolocal-ness of God, Incarnation cannot be our primary approach. God is still near, but not incarnated in the way Jesus was. Instead, the Spirit of God goes before us and is already active wherever we go. At Jesus’s Ascension, he said these words to his disciples, “But you will receive power when the Holy Spirit comes on you, and you will be my witnesses in Jerusalem, and in all Judea and Samaria, and to the ends of the earth” (Acts 1:8). These words come to fruition in the next chapter, a rushing wind, tongues of fire and Peter’s testimony that the ‘Spirit was being poured out on all flesh” (Acts 2:17). On that day the disciples were empowered for mission and their mission was to bear witness to what God was doing and had done. 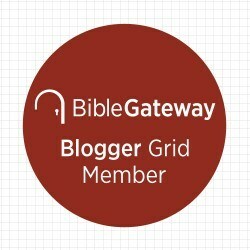 Like the first disciples, our mission is to “be Christ’s witnesses in Jerusalem, and in Judea and Samaria and to the ends of the earth.” However, if we see ourselves primarily as the incarnation of Christ coming to the neighborhood we are likely to reach out in paternalistic, condescending and ethnocentric ways (see the history of Western Christian mission). If our job is simply to be witnesses we can imagine new theolocal possibilities. Instead of us bringing Christ and his kingdom, we arrive and discover that the Spirit of God is already at work, that there are already signs of the Kingdom and Resurrection. Because we have eyes to see, we bear witness to what we see God doing in the neighborhood, city or place. We also bear witness to where we have seen God at work in our own life but we are primarily witnesses—observers who tell others what we see. If we are to be missional people, then we need to cultivate our theolocal imagination. In some later posts I want to press into this a little more and explore what kind of practices help us make vivid our Theolocal God, but mostly this is about cultivating our spiritual senses so that we can see which way the Wind blows, and know that wherever we are the Lord is working, long before we got there. Guy Prentiss Waters has penned a new commentary on Acts from a conservative Evangelical, Reformed perspective.He is Professor of New Testament at RTS in Jackson and a teaching elder in the PCA and a cessationist. 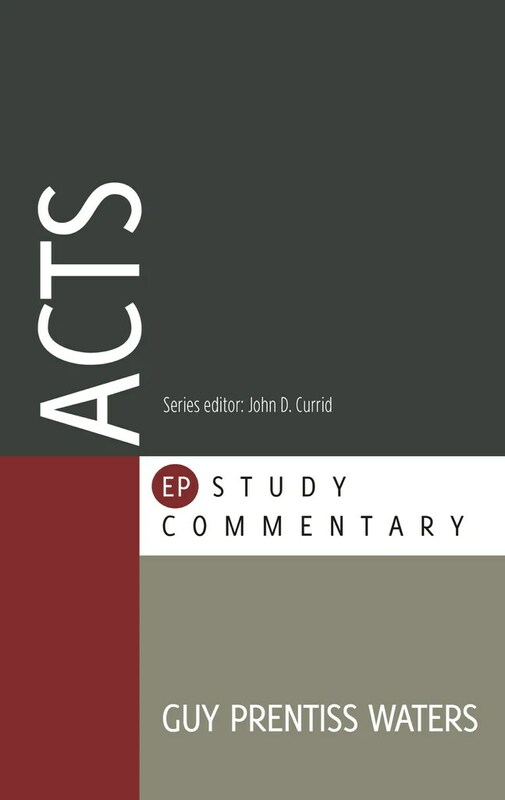 He wrote his Acts commentary for the EP Study Commentary (series edited by John Cirrid). For my part, I am more justice-minded Evangelical nurtured in the faith by Pietism and the charismatic movement. (with a healthy load of Anabaptism thrown in). But all that isn’t to say I didn’t enjoy this commentary and read it fruitfully! On the back cover is a gushing endorsement from D.A. Carson. I like plenty of commentaries and commentators that Carson doesn’t have much use for (N.T. Wright, for example); yet his endorsement says to me a quality and careful reading of the text and that is what I discovered as I braved these Waters. While Waters writes from a Reformed perspective, quite self consciously, he does not do so in a sectarian way. He doesn’t spill any ink arguing for the veracity of infant baptism over believers’ baptism. His doctrine of election is not the central feature to this text. Many of his doctrinal distinctives would be felt more sharply in one of the epistles than in Acts. This is a close reading of Acts with exposition in view. Waters draws out the meaning of the text for the preacher. This is not a technical commentary but a good mid-level commentary (with footnotes to more detailed treatments). Where Waters’s theological heritage is most evident in the text is in the application section in each subsection (below his comments on the passage). There cites the Westminster Larger Catechism and John Calvin to warn against unfruitful speculation about the future (44). He also goes to pains in places to explain his understanding of redemptive history. His cesassionism means that he is careful to hedge the fence of Holy Writ. What we read in Acts was historical describing a moment in redemptive history. Waters argues that the outpouring of the Spirit evidenced by signs and wonders and tongues is not ‘the normative pattern of Christian experience for all generations (74). This was a unique apostolic age that died with the apostles (39). I have more charismatic leanings than Waters and think that he overstates his case, but I applaud his attentiveness to scripture and the words on the page. He has a different theological lens he does illuminate features of the text I would otherwise miss. I also appreciate that while he relegates supernatural manifestations of the Spirit to the distant past, he doesn’t treat this first century church account as ‘merely descriptive and never prescriptive.’ When he reads an evocative account in Acts, such as the life sharing in response to Peter’s sermon in Acts 2:42-47, he parses those aspects as he sees as unique to the apostolic-age (signs and wonders in v. 43) and those aspects that apply to us–namely, devotion to apostolic teaching, life sharing and evangelism (100-101). On the whole, Waters is balanced and a careful exegete. I found plenty I disagree with, but I think he does a great job through out of capturing the Spirit’s mission in the first century. I give this commentary four stars and plan to use this further as I plan towards Pentecost. Notice of material connection: I received this book from the publisher via Cross Focused Reviews in exchange for my honest review. This is my fourth review of Paraclete Press‘s series of guides on the Holy Spirit. 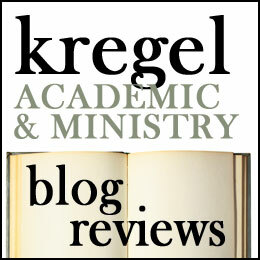 The other books I reviewed, each of the authors seek to articulate their understanding of the Holy Spirit from their own theological tradition (Jewish, Orthodox and Protestant). While the author of Who is the Holy Spirit?, Amos Yong, is deeply formed by the Charismatic and evangelical tradition this book examines the Holy Spirit by providing a close reading of the book of Acts and supplemented by material from Luke. The effect is that Yong is able to draw out some of the social and political implications of who the Spirit is and his activity in the world. Right now, some of you may be saying, “the Holy Spirit I know, but who is Amos Yong? Why do I need to read this book?” Amos Yong is one of the most well-known and respected Pentecostal scholars working today. He is the J. Rodman Williams Professor of Theology at Regent University School of Divinity in Virginia Beach (as a graduate of Regent College, we call this the other Regent). Because Regent University was founded by Pat Robertson some may be tempted to write it off as a ‘right-wing institution’ but Yong’s analysis has implications for people on both the right and the left (note: I actually have no idea what Yong’s politics are, I just want to make sure you don’t think you know what he’s gonna say before you read the book). This book came to fruition when the acquisitions editor at Paraclete Press read an article by Roger Olson in Christianity Today entitled, “A Wind that Swirls Everywhere: Amos Yong Thinks He Sees the Holy Spirit Working in Other Religions Too (note: the back of the book mistakenly attributes the article to Yong, but it is an article about Yong).” In response to this idea, Amos Yong went to work on exploring the material on the Spirit in Luke and Acts for a Sunday School class at his church. Who is the Holy Spirit? is divided into 39 chapters covering all of Acts and selections from Luke, and a discussion guide for each chapter. I now believe that the Spirit is at work not just at the level of the individual but also at the level of society and its various political and economic structures; not just the otherworldly, spiritual level but also at the this-worldly level of the material and concrete domains of our lives; not just in and through the church but also in and through wider institutional, cultural and religious realities. In other words, I now think the world of the Holy Spirit is much wider than I’d guessed, and that the work of the Spirit is to redeem and transform our world as a whole along with all of its interconnected parts, systems and structures (x). And so, Yong sets out to answer the question of Who is the Holy Spirit? not by giving us doctrinal formula and propositional truth, but by paying careful attention to the narrative of Luke-Acts and showing us the Spirit’s work. He explores how the Spirit brings and is bringing about the full promise of the Kingdom of God, how the Spirit overcomes divisions of language, ethnicity, nationality, gender and class, and how the Spirit brings about new freedom and liberation. This isn’t a denial of the Spirit’s individual and personal work within the human soul, but he probes the narrative also for wider socio-political implications. Acts provides rich fodder for reflection as he explores how the church is born through the Spirit’s work in overcoming divisions of language and culture at Pentecost and the Spirit keeps impelling their witness outward from Jerusalem, Judea, Samaria and to the ends of the earth. Each chapter explores a text (or set of texts), discovers what it is saying, the implications of the Spirit’s work, and explores the implications for our own context. I found this book refreshing! Too often confessional scholars examine spiritual realities in the text while critical scholarship focuses on the political aspects of the early church. It is exciting to read a Bible study which explores both of these poles. Yong’s bibliography, while only showing the references he deems ‘accessible,’ displays his willingness to tackle the issue and draw on a wide range of scholarship. As this is not a scholarly book, there are no footnotes. Most people probably like this better, but I missed them and my reading would have been enriched by knowing where he drew various aspects from and being able to chase things back. But lucky for me, this isn’t the only thing Yong has written on the topic, and I will get my chance. This has implications for how we engage in mission. We do not dismiss other religions out of hand as utterly false; we do look for evidence of where the Spirit is at work (like Paul in the Aeropagus). This book would be great for personal reflection, or as a curriculum for a small group Bible Study. I certainly think it would inspire a rich discussion of the Spirit’s role, presence and work in our lives and in the church. I am not sure that Yong answers, or intends to give us a firm answer to the question: Who is the Holy Spirit?. Instead through his calling to attention the widening scope of the Spirit’s work, he helps us to see that the Spirit is bigger and more wonderful than we have previously imagined. Thank you to Paraclete press for providing me with a copy of this book in exchange for this review.